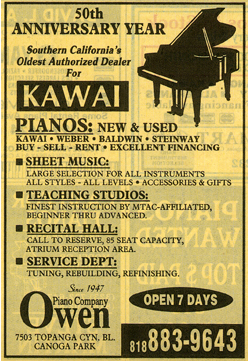 This page represents a small tribute to the former Owen Piano Co. 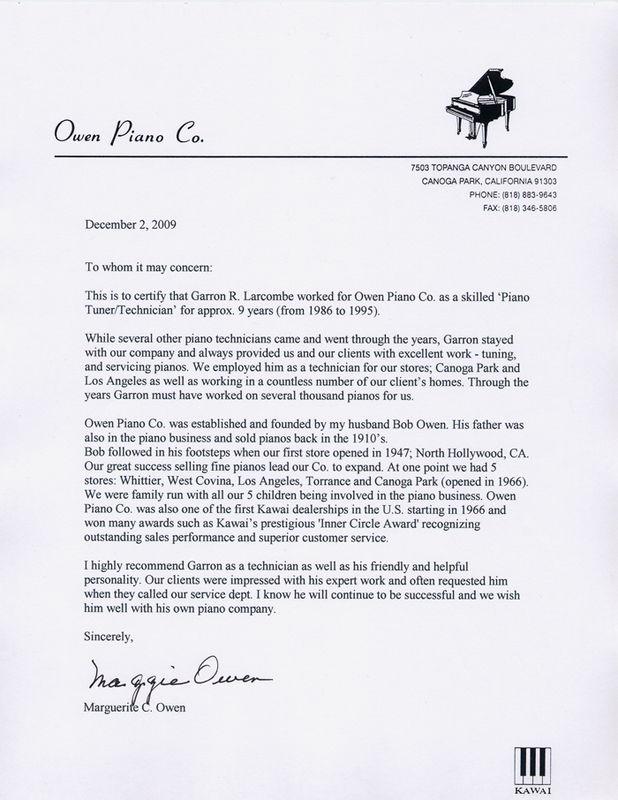 The Owen family established and once operated one of the most successful premier chains of piano stores serving the greater Los Angeles community. Their name was trusted and well respected in the piano industry with a legacy that spanned over 100 years before finally closing their doors in 2010. When I started working for their Co. in 1986, they made me feel like part of the family. I have many fond memories from that time such as: Going over the records in the Canoga Park store with Cindy Owen (of the client tunings I did), chatting with Maggie Owen and the different salesmen through the years, going to Todd & Julie Owen’s wedding & reception, and at their downtown store - meeting and talking with Bob, Chris, and Tony Owen and their salesman David Spasaro. So it is with great pleasure that I dedicate this page to the Owen family. 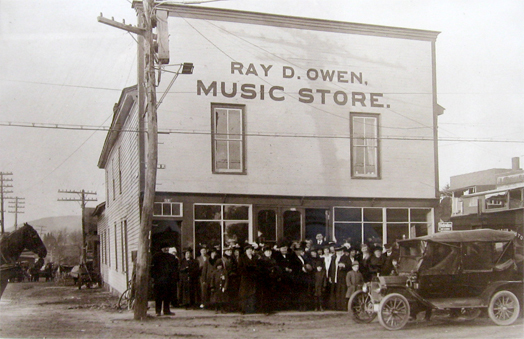 A photo of Bob Owen’s father’s music store, circa 1910. In those days they use to deliver pianos by horse & carriage. Here is a referral letter that Maggie Owen wrote for me in December 2009. This letter also details some of their company’s distinctive history. 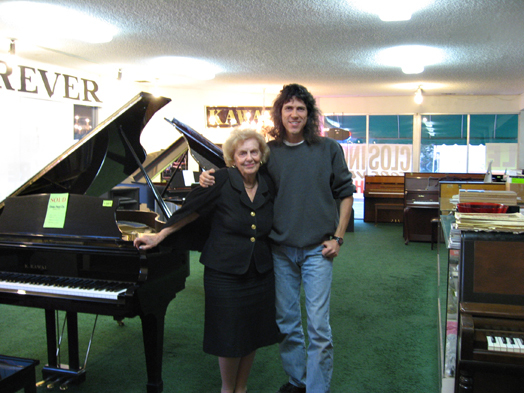 Maggie Owen and I in the Canoga Park store - December 2009. Owen’s 50th Anniversary ad in 1998. 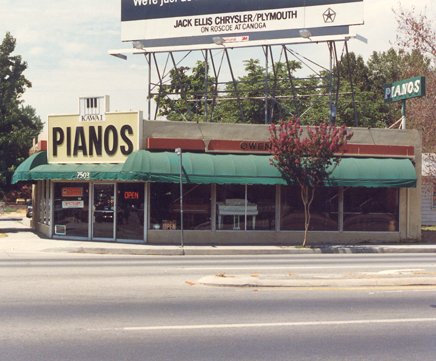 The Owen piano store in Canoga Park. years later they expanded the store to the building next to them.